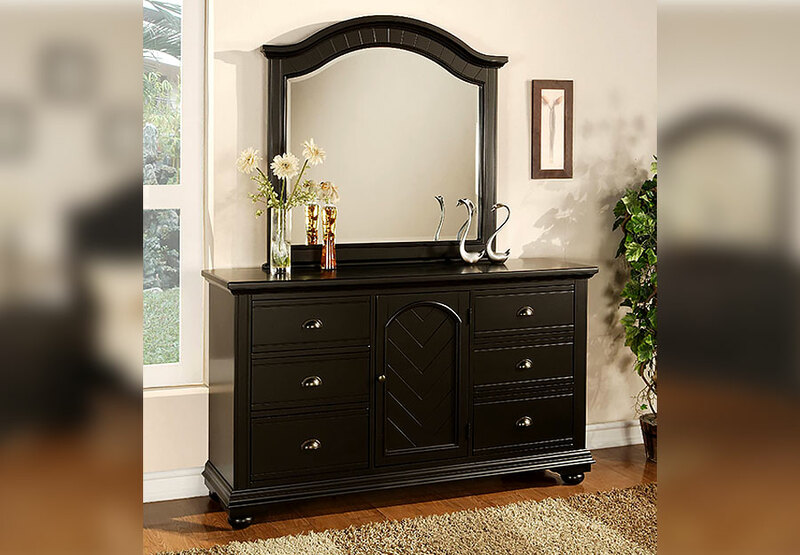 The Elements International Brook Black Collection is a transitional style bedroom furniture collection. Each piece is expertly crafted with a solid hardwood frame. 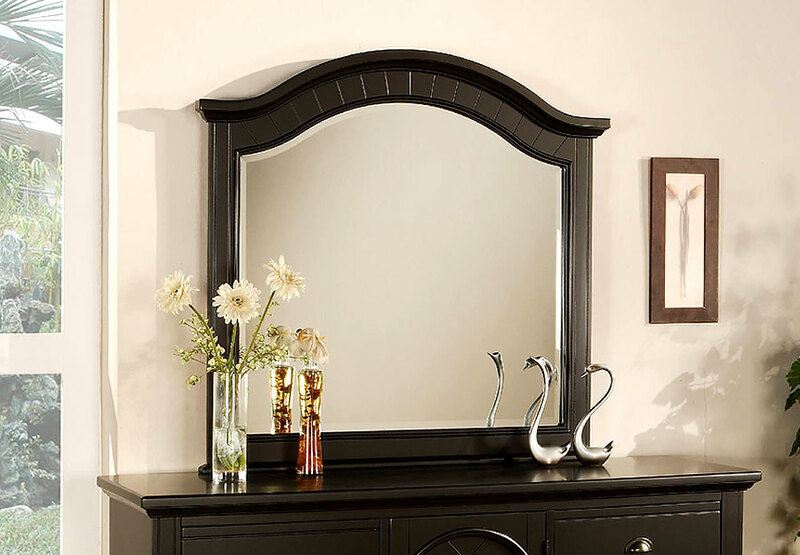 All wood is kiln-dried for added strength and lasting beauty, in a black finish. The use of Pine veneers and solid Pine for each piece results in high-quality furniture that has flawless surfaces and consistent color tones.